The number of admirers of a laminate grows every day. Installing the laminate doesn’t demand special skills as connection of plates happens at the expense of the special lock so you can do it yourself. Before installation it is necessary to clean the floor to avoid the formation of dust. Then put the underlay before starting installing the laminate flooring. It is desirable to stack an underlay perpendicular to the direction of a laminate. It will allow to avoid coincidence of joints at an underlay with laminate’s joints. What underlay to put under a laminate? Foam is the main laminate the underlay. Foam of 3 mm (1/8″) to 6 mm (1/4″) is also delivered by thickness in rolls of various width and length. There are two types of foam of the spreading layer -. A combination of laminate and underlay: with included moisture / vapor barrier and foams, without barrier. Choose the combined product in case of installation of the laminated floor coverings in the basement or any area, for example in a bathroom where high humidity is often. 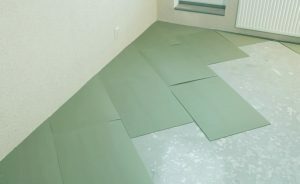 Modernized foam spreading for a laminate material which includes rubber or fibers is to provide better durability, It also helps to reduce the number of noise which passes through a floor from level to level. When you want to minimize the hollow sound caused by foot traffic, acoustical laminate flooring underlay is the right choice. 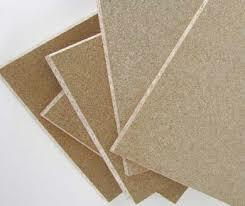 Cork and felt varieties are available, and most have a moisture barrier included. They’re 3mm (1/8”) thick to 6mm (1/4″) and require only basic skills to install.